If you have Peripheral Artery Disease (PAD), you’re at an increased risk of Lower Extremity Amputation (LEA). The lower extremities include the hip, knee, and ankle joints, and the bones of the thigh, leg, or foot. The good news is that, with the right care and medical interventions, you can avoid amputation. 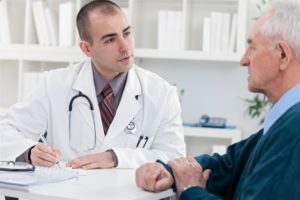 Why Can Peripheral Artery Disease Lead to Amputation? Restricted blood flow prevents the cells in the limbs from getting enough oxygen and nutrients, which can lead to tissue death, called gangrene. If tissue death is severe, or if an infection sets in, amputation may become necessary. How Common Is Peripheral Artery Disease? You might be surprised to learn that 18 million Americans have peripheral artery disease, and 1 in 3 people with diabetes over the age of 50 is likely to have PAD. Having diabetes, high blood pressure, high cholesterol levels, or a family history of PAD are risk factors for developing peripheral artery disease. 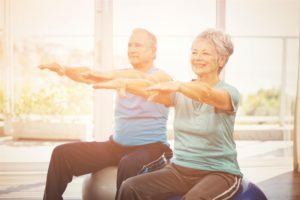 The most common symptom of peripheral artery disease is leg pain or cramping (called “claudication”), especially with increased physical activity. The pain is usually worse when walking or exercising and subsides with rest. Other signs of PAD can include leg numbness or weakness; sores on the lower legs, feet, or toes that won’t heal or are slow to heal; cold toes and feet; shiny skin on the legs or feet; hair loss on legs; and a change of skin color on the legs. Pain plus sores/ulcers on the legs or feet are signs of a condition called Critical Limb Ischemia (CLI), which warrants immediate medical attention. If you experience any of these symptoms—whether you’ve been diagnosed with PAD or not—see your doctor right away. Patients over age 65 who underwent lower extremity amputation had a one-year mortality rate (death rate) of 48% and a 3-year mortality rate of 71%. Conversely, patients who were able to preserve their limb (with revascularization, which we’ll discuss later) had a much lower mortality rate of 16-24%. Patients who undergo amputation are much more likely to go into an institution, such as a nursing home or rehabilitation facility, than patients who preserve their limbs. The majority (80-90%) of patients who preserve their limbs are able to walk again within two years, while 60-80% of those who undergo amputation are unable to walk again. Patients who preserve their limbs have a lower risk for depression. It’s clear that avoiding amputation is key to preserving mobility and quality of life. More than 160,000 PAD-related amputations are performed in the U.S. each year. Many of these amputations could be prevented with the right interventions and treatments. What can you do to avoid amputation if you have PAD and/or diabetes? 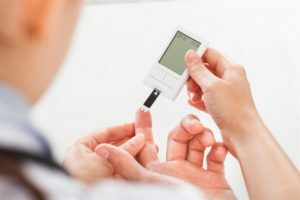 Manage your diabetes by keeping your blood sugar, cholesterol, and blood pressure under control. Quit smoking; smoking is a major risk factor for PAD because it can contribute to blocked arteries. Quitting smoking is the most important thing you can due to reduce your risk of PAD complications. Eat a healthy diet that includes plenty of fiber, vegetables, fruits, whole grains, and lean proteins, and few or no added sugars. Exercise regularly; this is critical, as successful PAD treatment is often gauged by how far you can walk without pain. Aim for at least 30 minutes of cardiovascular exercise, such as brisk walking, five days or more per week. If you have restricted mobility, talk to your doctor about an exercise plan that works for you. Take good care of your feet; keep your feet clean, dry and moisturized every day to prevent cracking, which can introduce infections. Wear well-fitting shoes and dry, thick socks. Don’t go barefoot, even indoors, as this can increase your risk of getting cuts on your feet that can become infected. Check your feet for sores every day, and see your doctor right away if you see any signs of sores or injuries—never attempt to treat sores yourself. You may need medications to relieve pain associated with PAD and/or diabetes and to reduce your blood pressure, lower your cholesterol levels, prevent blood clots, and lower your blood sugar. Your doctor will discuss which medications you may need for your condition. Bypass grafting: This procedure is used to treat a partially or completely blocked artery. Your doctor will take a blood vessel from another part of your body or use a graft made of synthetic fabric to bypass the blocked vessel (similar to a heart bypass procedure). The bypass allows blood to flow around the blocked/narrowed artery. Angioplasty with stent placement: In this procedure, the doctor inserts a thin tube (catheter), fitted with a balloon at the tip, into the artery at the site of the blockage. The balloon is inflated, which pushes the plaque toward the artery wall. This alone will help improve blood flow, but, if the blockage is severe, the cardiologist will place a stent (small mesh tube) in the artery. The stent remains in the place and helps keep the artery open, so blood can flow through easily. Your doctor may use a stent coated with a special medication that helps prevent future blockages. Atherectomy: In this procedure, the doctor cuts or shaves off plaque from inside the artery to widen it and improve blood flow. Through a catheter, the doctor will insert a tiny cutting device or a laser into the artery and cut or laser away the plaque build-up. The doctor will either remove the plaque through the catheter or, if the plaque particles are small enough, leave them to be washed away into the bloodstream. Thrombolytic therapy: In this procedure, the doctor injects a clot-dissolving drug into a blocked artery to break up the clot. Once broken up, the clot particles are washed away into the bloodstream. With lifestyle changes and proper medical treatment, you can get PAD under control and, most importantly, avoid amputation. The world-class cardiologists at Cardiac & Vascular Consultants are here to help. Our compassionate team of skilled cardiologists provides comprehensive care for patients with peripheral artery disease in a patient-centered environment. 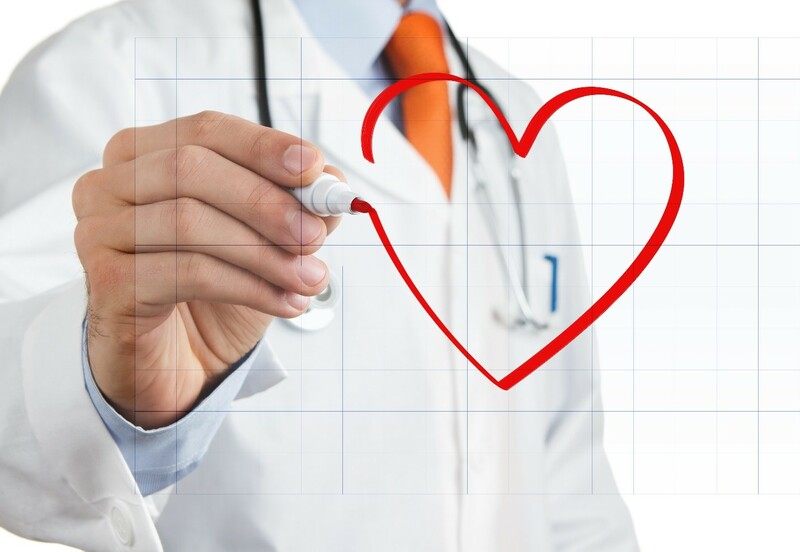 We treat the entire spectrum of cardiology and vascular conditions and will work closely with you to develop a treatment plan tailored to your specific needs. Learn more about our services, and contact us to schedule an appointment with one of our esteemed physicians.